It is likely that a great many Americans are unaware of 211. This is the number designated by the FCC for health-and-human-services-related calls, according to New Jersey 211's Laura Zink Marx. It seems safe to state that nearly everyone in the U.S. is familiar with 911, the nation's emergency-calling system. It is likely that many, if not most, Americans also are familiar with 311, which is the number they dial to connect with government entities, usually to report problems such as potholes and abandoned cars. But it is equally likely that a great many Americans are unaware of 211. This is the number designated by the FCC for health-and-human-services-related calls, according to Laura Zink Marx, the director of operations for New Jersey 211. She added that the system is available across 90% of the country — including Puerto Rico and the Virgin Islands — and last year handled roughly 17 million calls nationwide. Marx's agency, which is headquartered in Whippany, N.J., provides 211 service around the clock with its two call centers and 58 staffers. It was an important leap forward when the FCC created 211, because it relieved 911 telecommunicators from the burden of non-emergency calls, according to Marx. "In some urban areas, up to 60% of the calls can be non-emergency, such as people looking for transportation to a doctor's appointment," she said. "Now, 911 can comfortably say, 'Hang up — I can't help you, but if you call 211, they can.'" 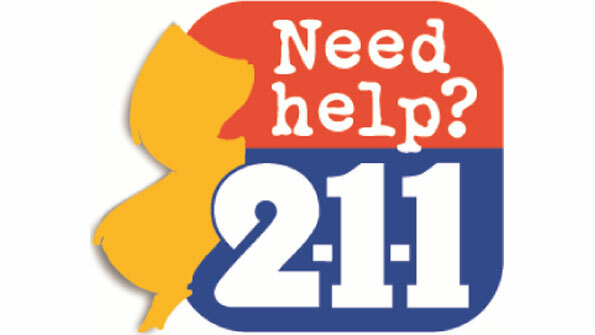 As one might expect, New Jersey 211 was inundated with calls before, during and after Superstorm Sandy, which clobbered the Eastern Seaboard last October. The agency — which serves the state as well as a five-county area that surrounds Philadelphia — fielded tens of thousands of calls, Marx said. Prior to the storm, residents wanted to know how to prepare for the massive and devastating storm, including evacuation procedures. They also were concerned about transportation issues, flooding and the welfare of those who didn't evacuate. In the aftermath, they were looking for help, with many residents calling to inquire about emergency food stamps. It was a lot to juggle, and the task might have been infinitely more difficult had the agency not learned some valuable lessons when Hurricane Irene swept through the area in August 2011. "At the time, we had a premise-based system and some Q-1 lines that gave us some flexibility in terms of redirecting calls, but we didn't have control over it," Marx continued. "So we really thought at that point that we had to come up with a better solution for us, because we have a huge responsibility to be operational 24/7. So we started to look at all of these cloud-based services."